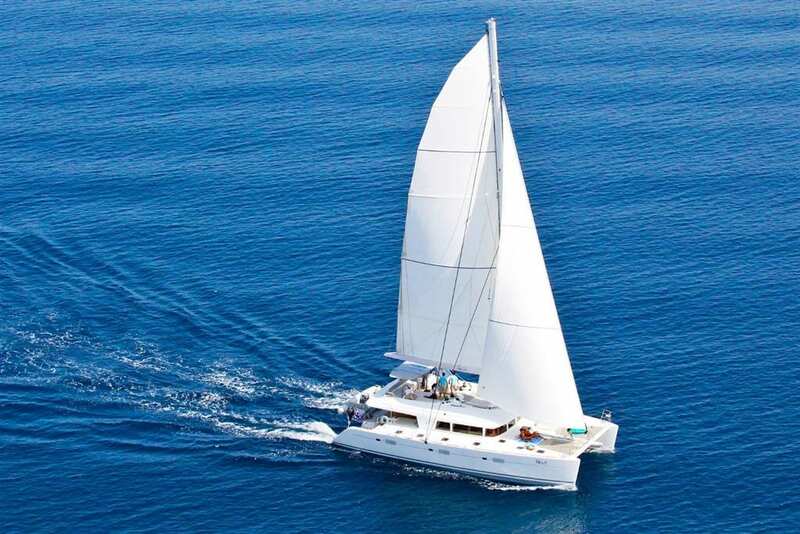 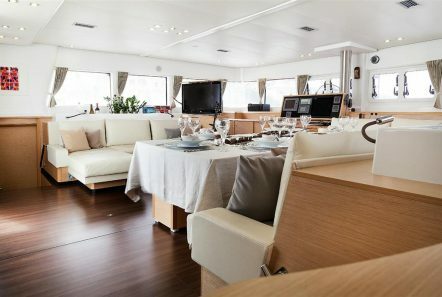 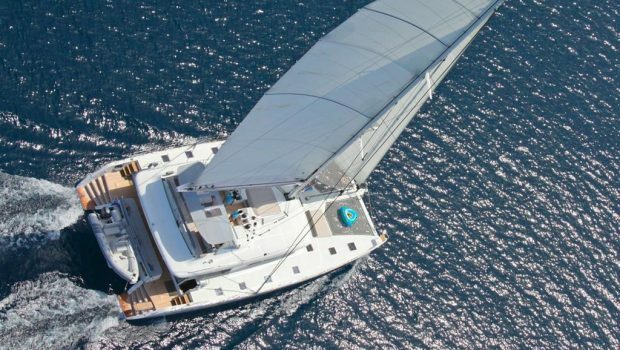 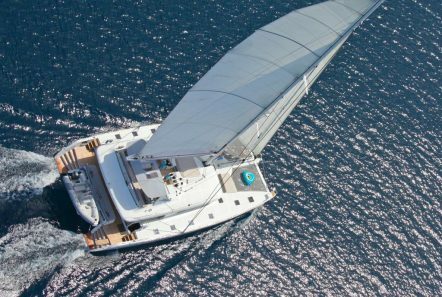 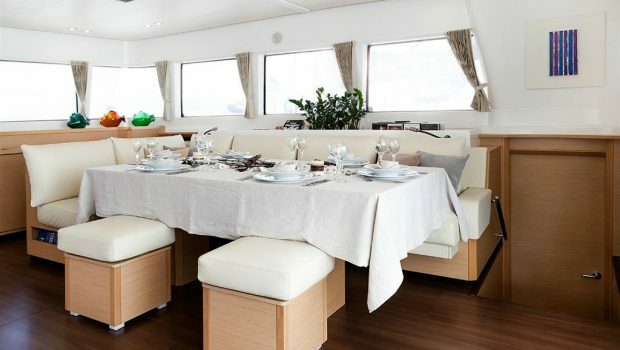 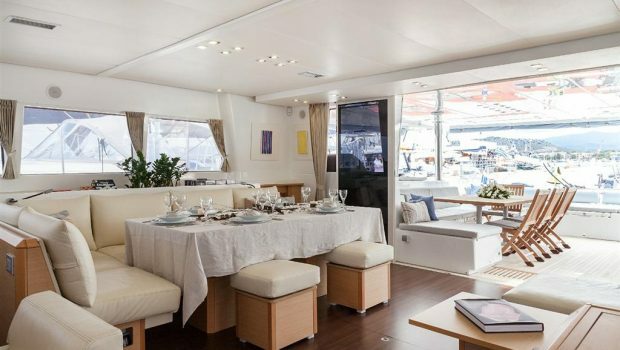 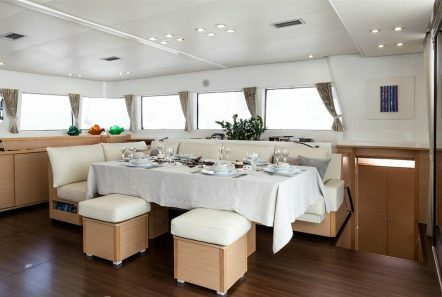 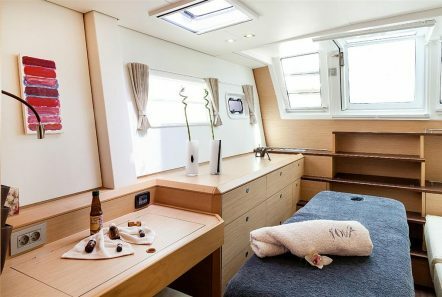 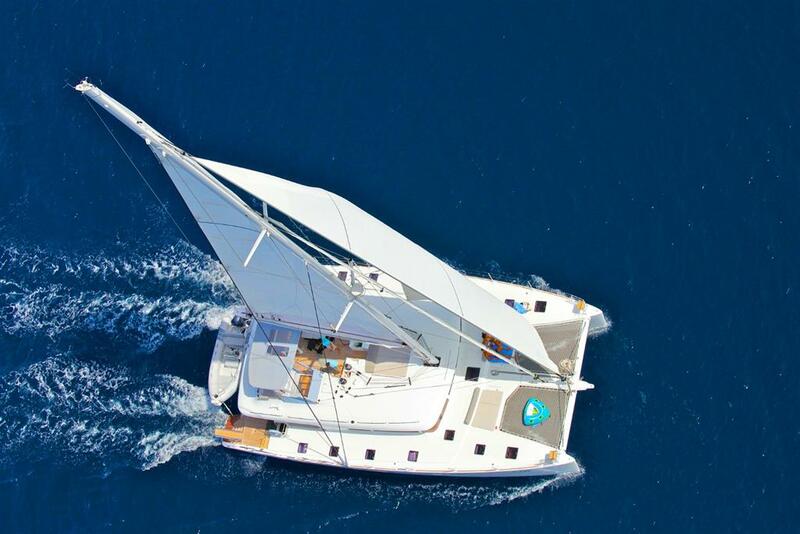 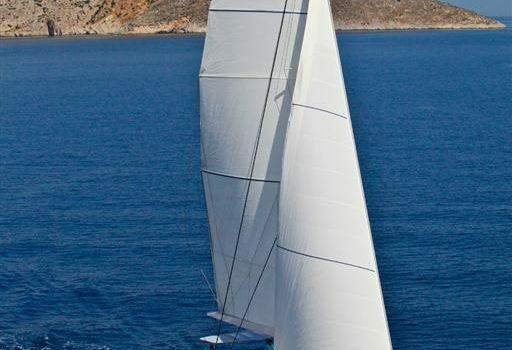 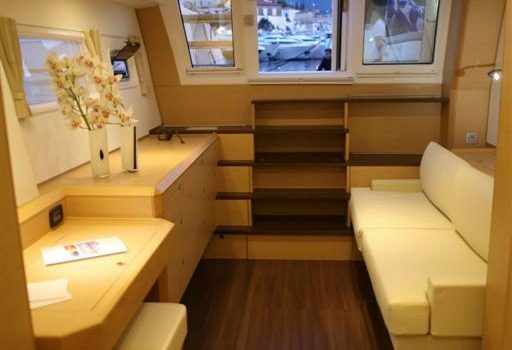 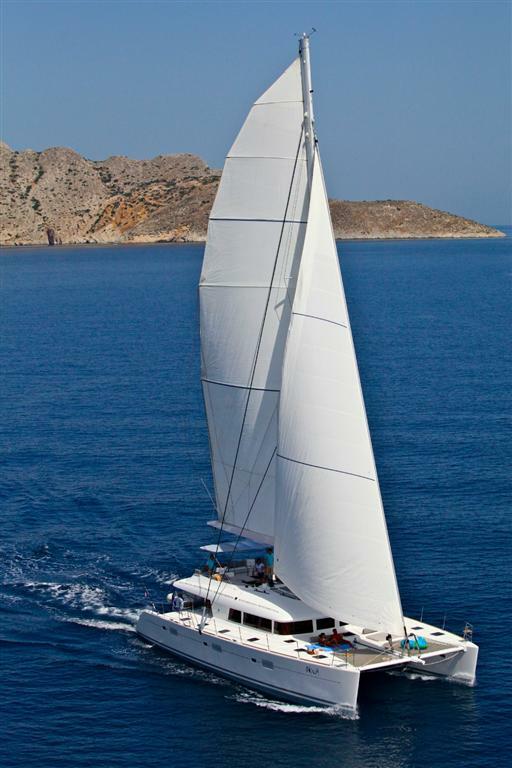 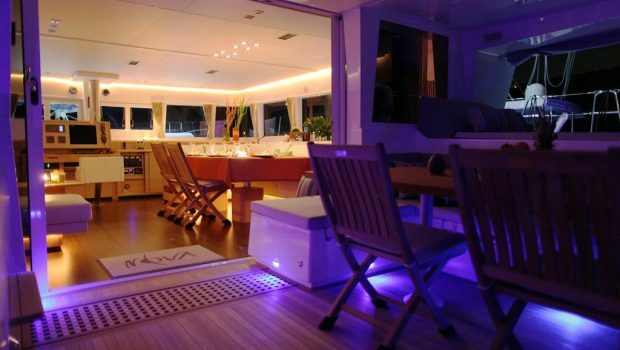 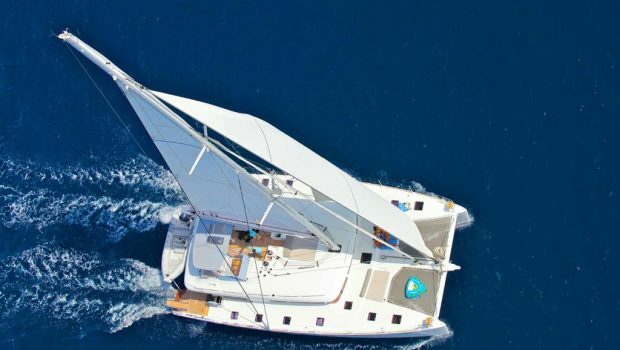 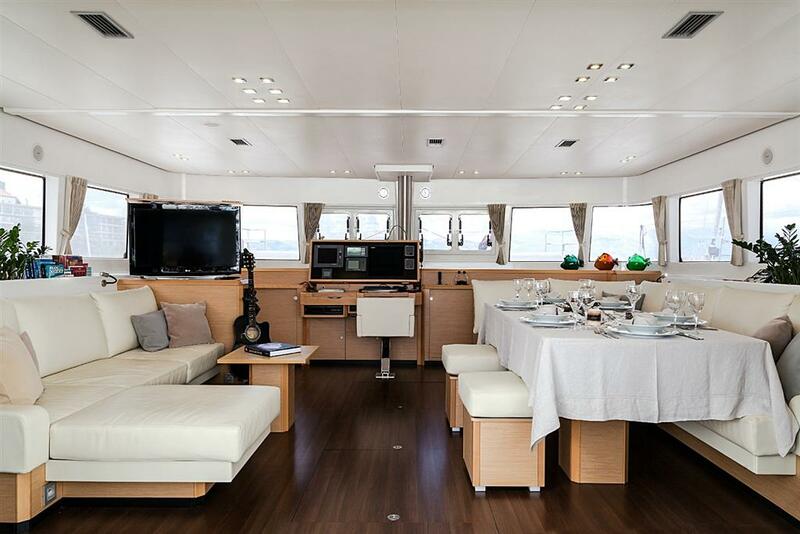 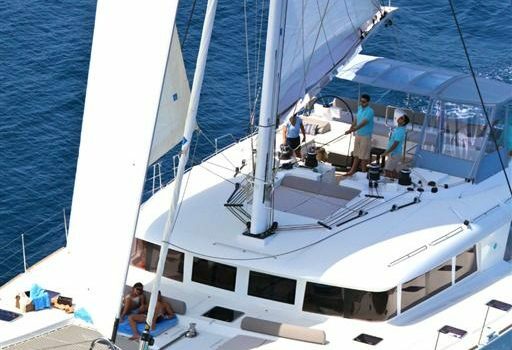 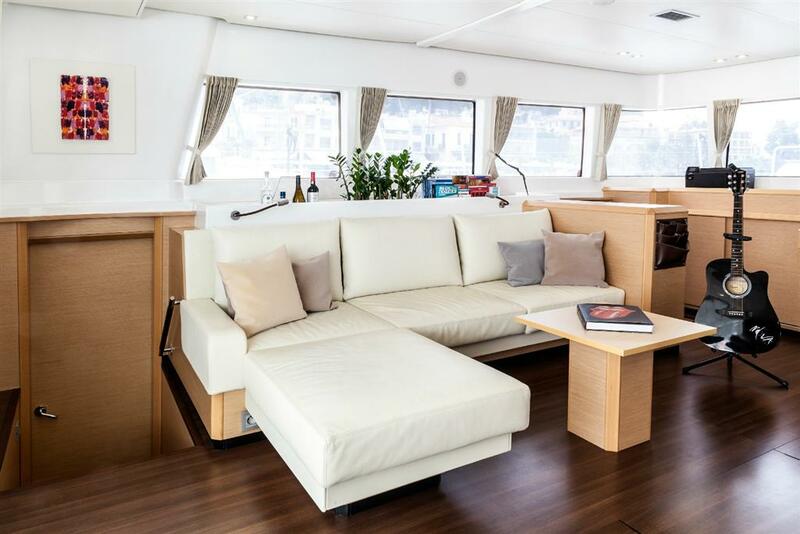 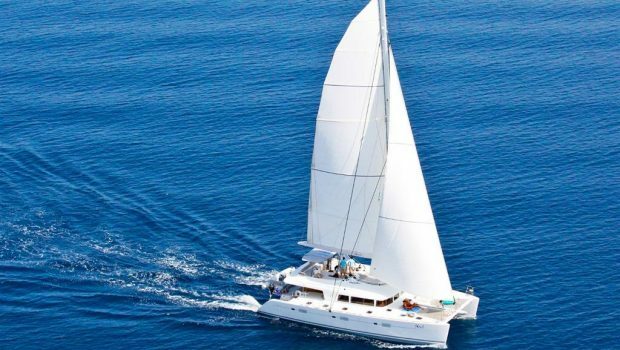 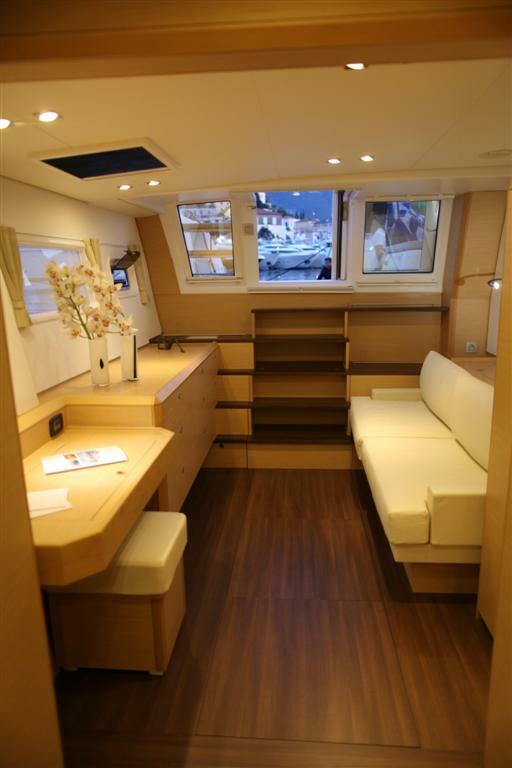 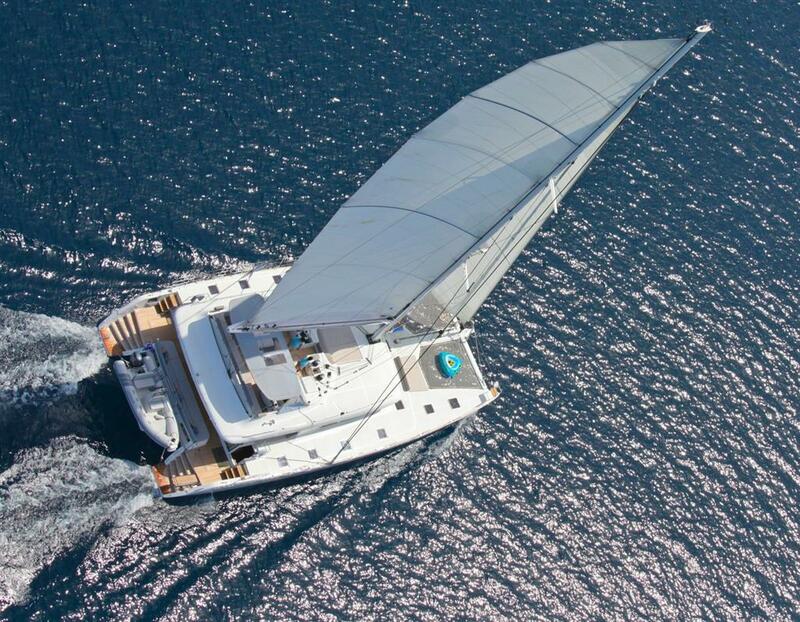 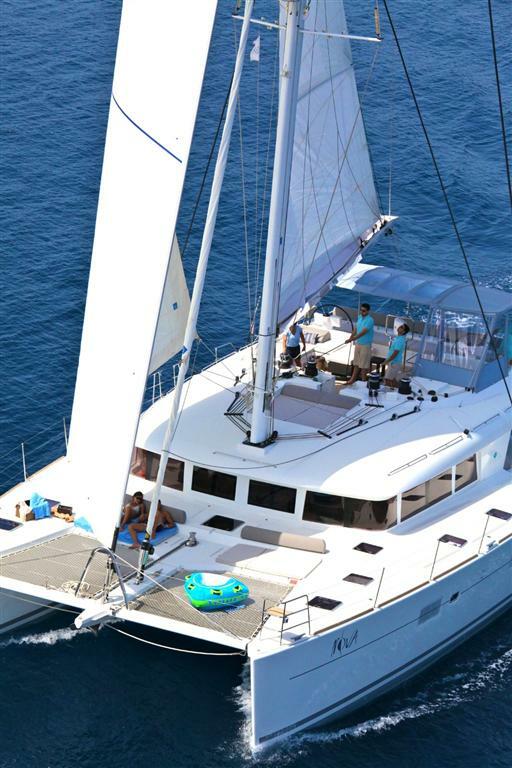 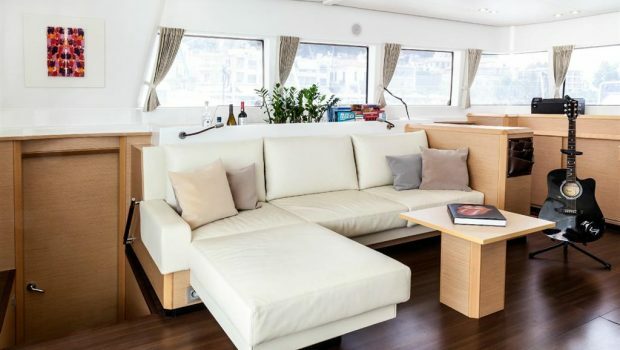 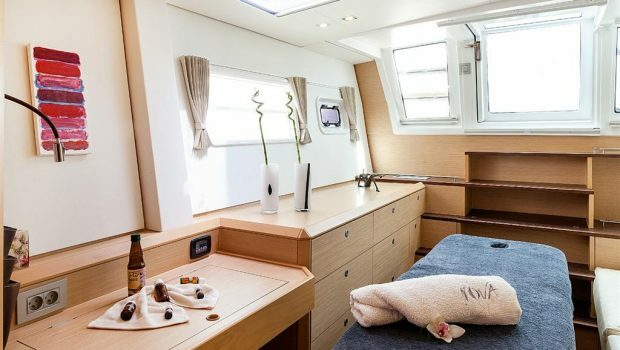 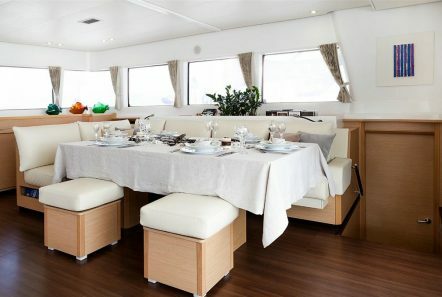 Smooth sailing and spacious accommodation are found aboard NOVA, a beautiful LAGOON 620 catamaran. 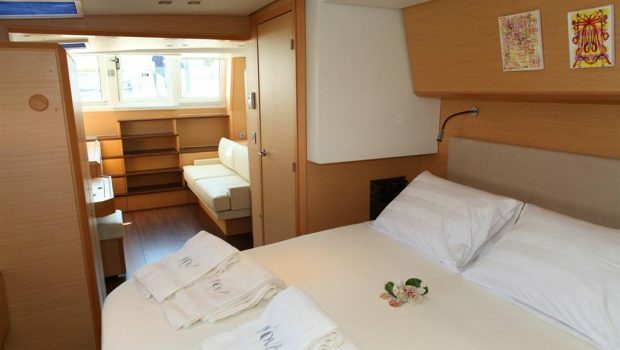 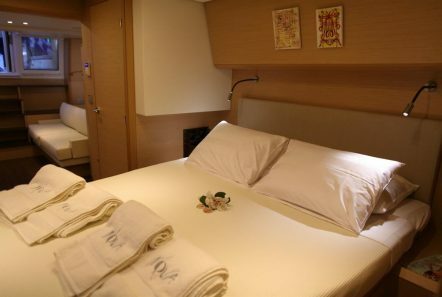 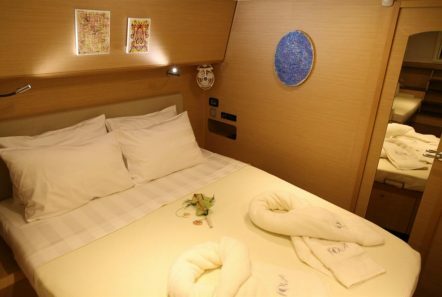 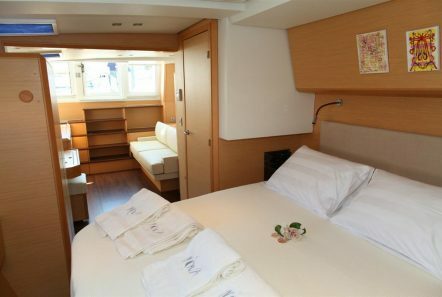 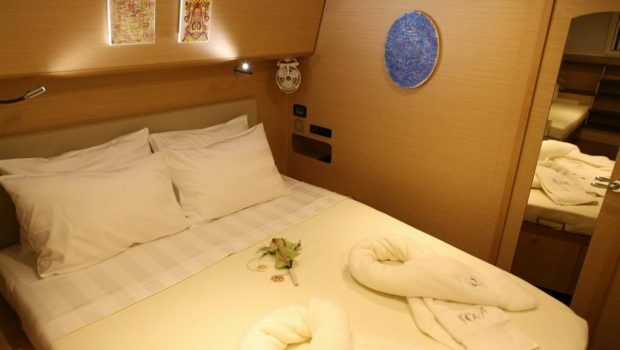 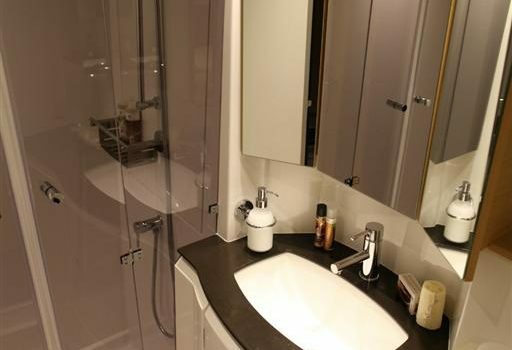 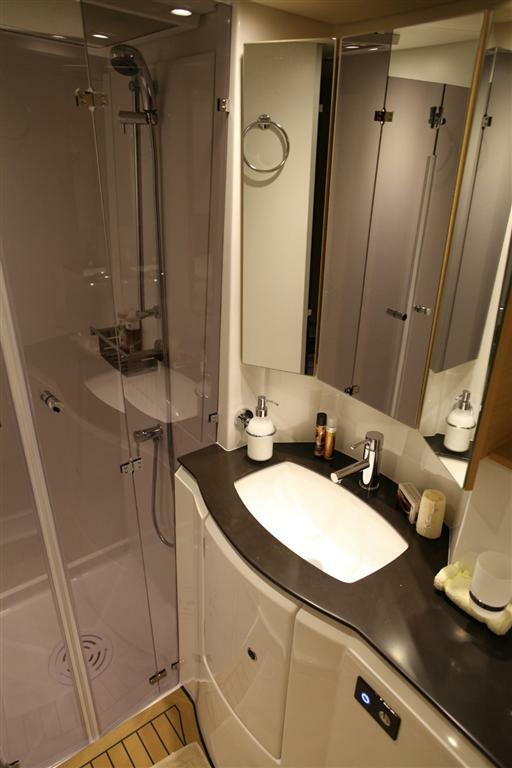 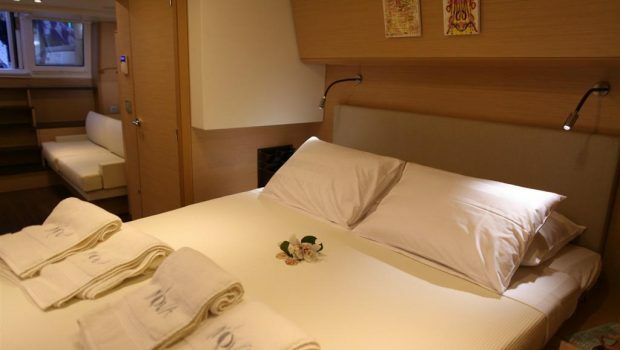 She accommodates her eight guest in four staterooms with private baths en suite. 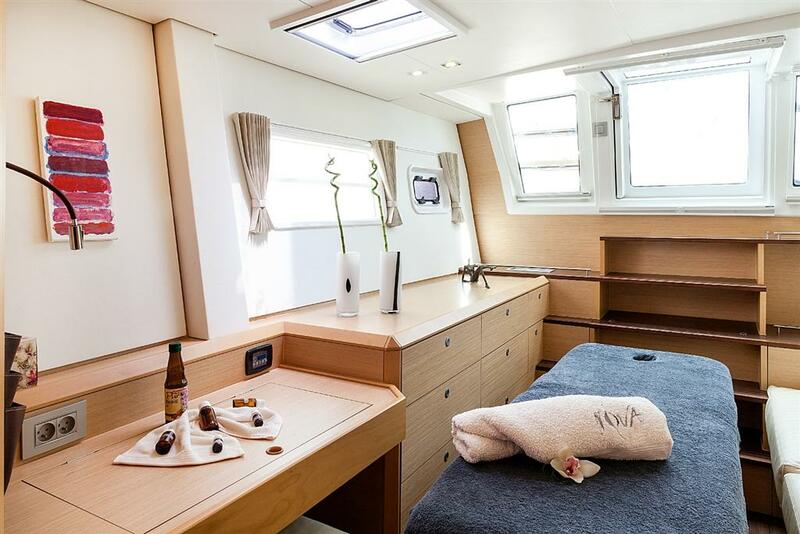 Her saloon has full panoramic windows surrounding the entire room which allows for the Grecian sun to flood the room with bright light and airy breezes. 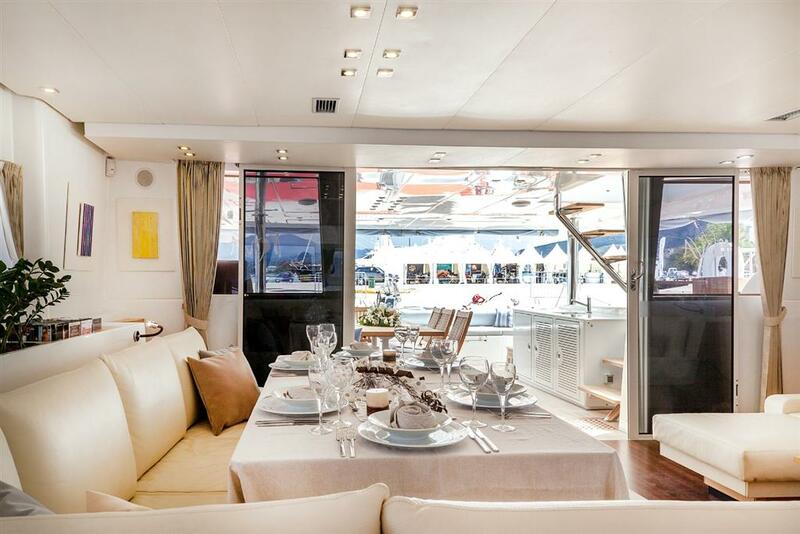 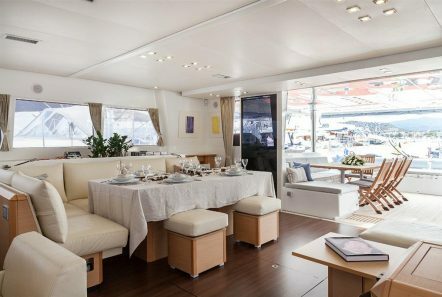 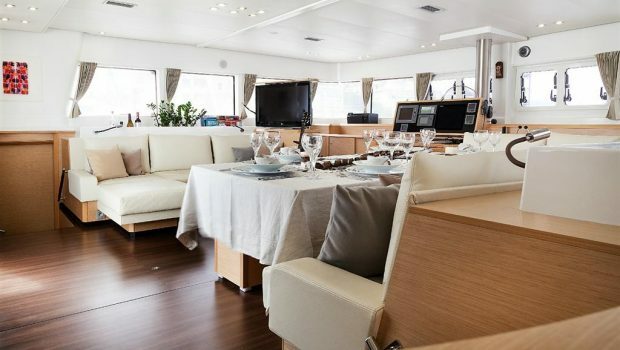 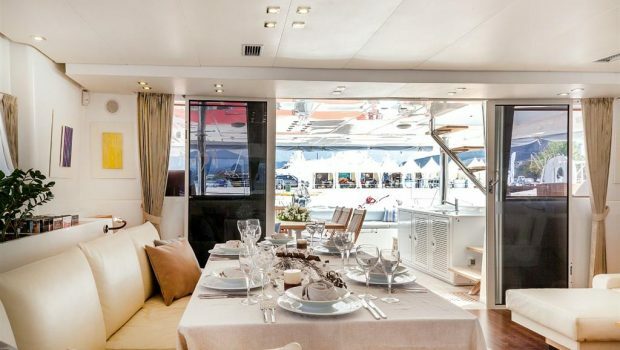 The saloon opens to the aft deck making the aft deck an extension of the main living-room. 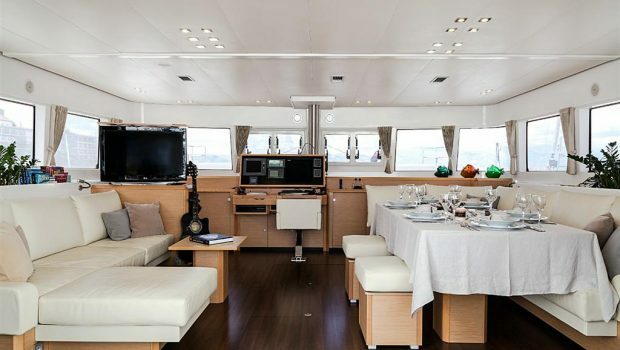 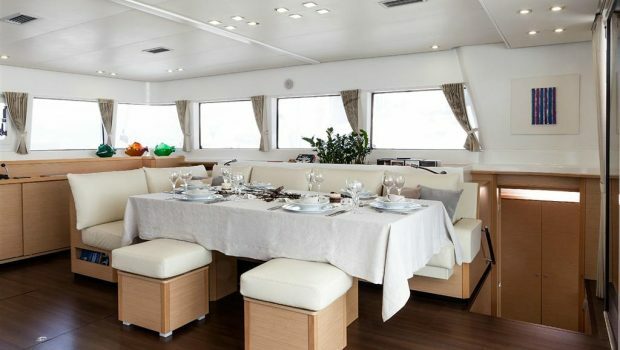 The aft deck has a dining table for al fresco dining should one wish otherwise guests can enjoy sumptuous meals at the large table in the saloon. 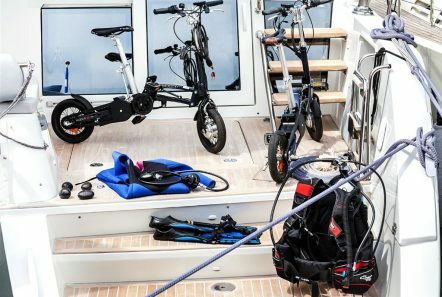 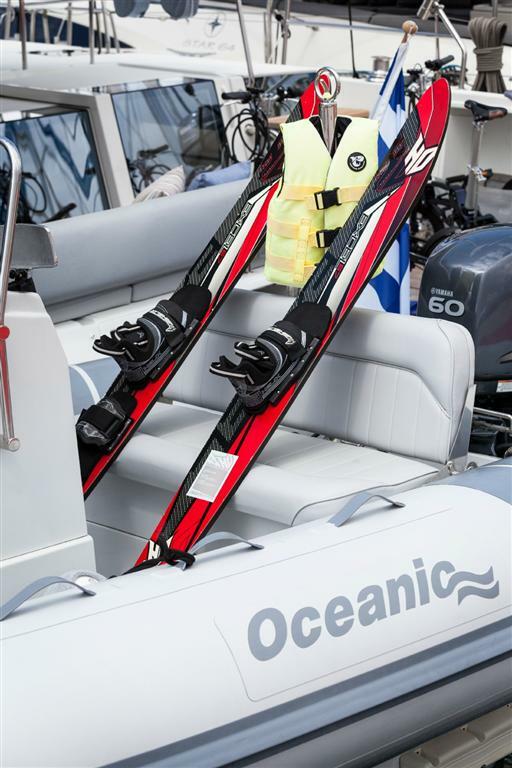 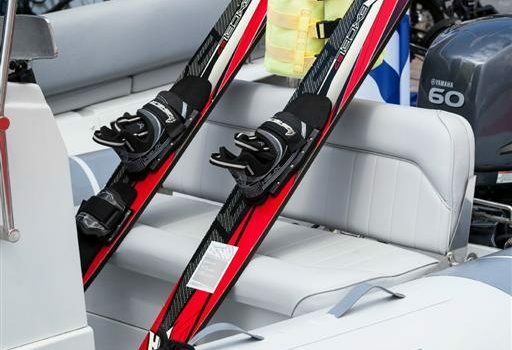 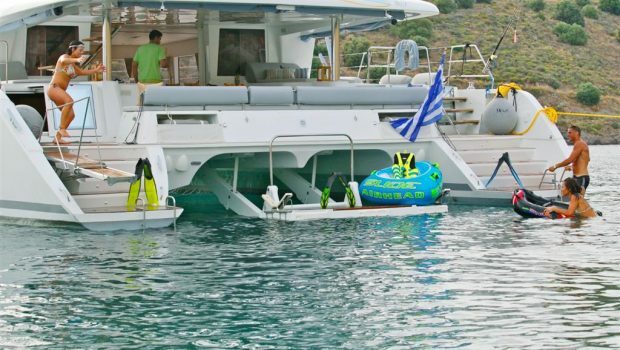 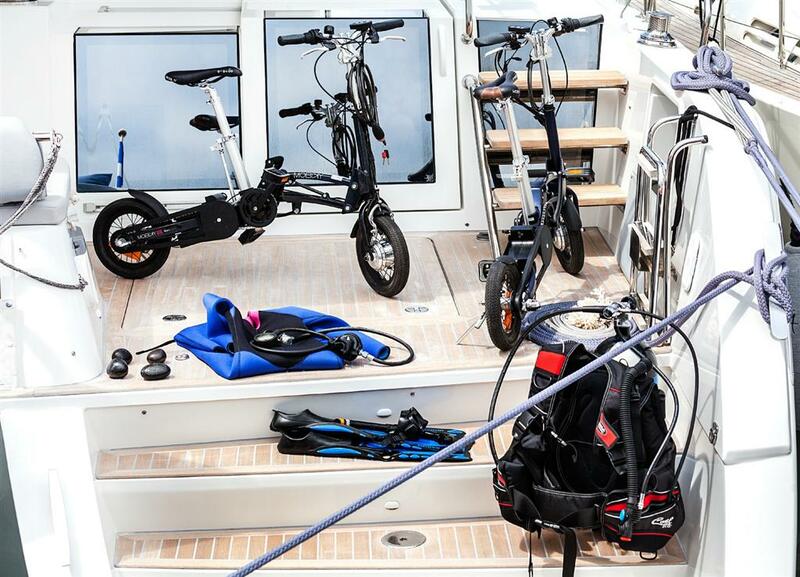 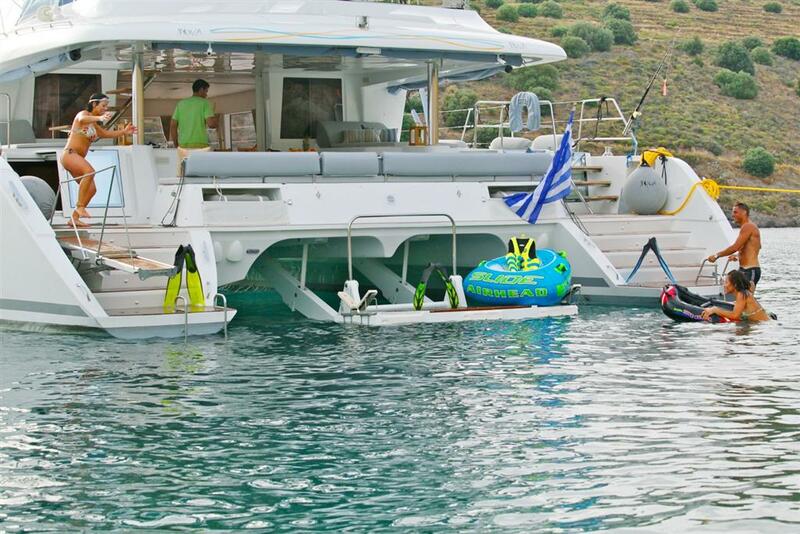 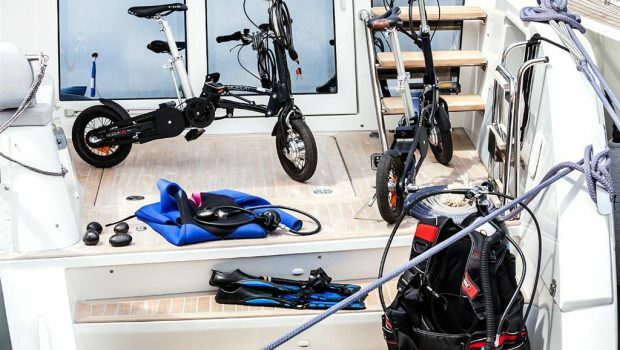 The aft pontoons are a great place to sit and play and offers it’s guests easy access to the sea. 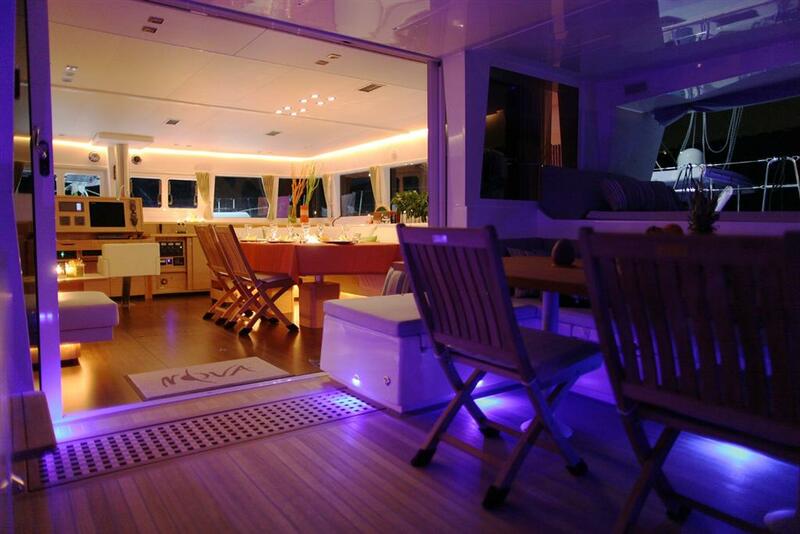 The fore of the yacht has a fabulous netted area for sun bathing and admiring the star filled sky.